On Thursday, October 4, 2018, St. Francis of Assisi students will celebrate the Feast of St. Francis of Assisi, our school's patron saint. St. Francis loved God and man, as well as all God's creatures. 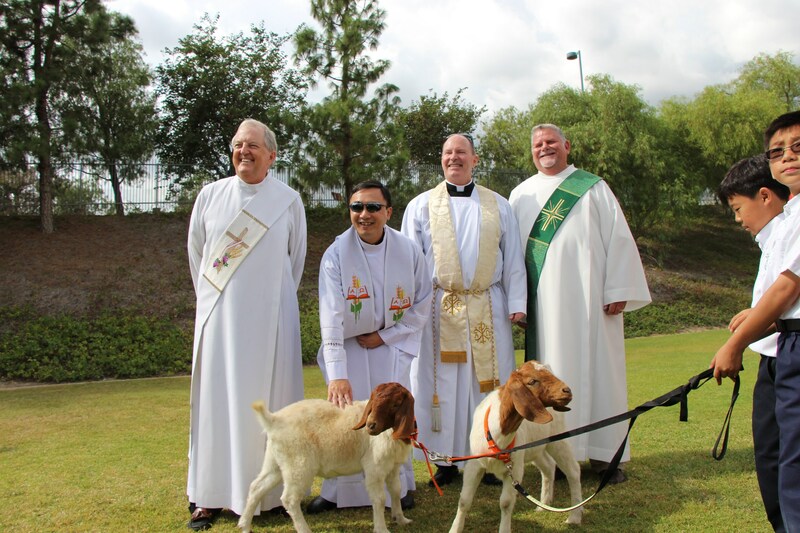 In this light, we plan to celebrate this feast day with the "Blessing of the Animals." Our special day of celebration will begin with Mass at 10:00 am. in the beautiful St. Francis of Assisi Catholic School Campus with Bishop Kevin Vann as our celebrant. 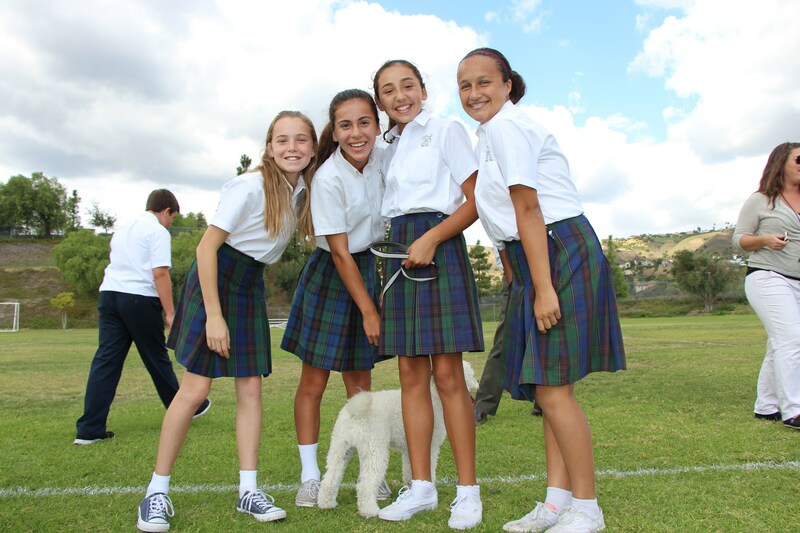 Following Mass, we will be offering complimentary light picnic lunch with students and faculty. 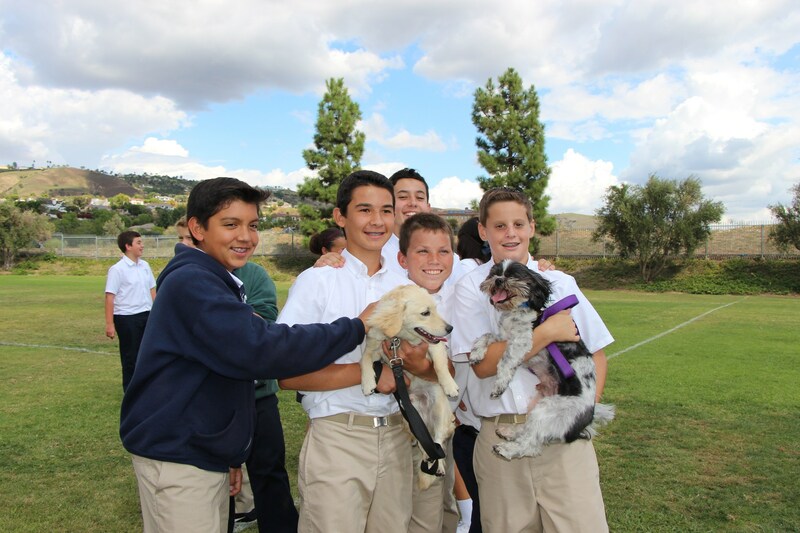 Students will return to their classrooms until they are released for The Blessing of the Animals in the afternoon. 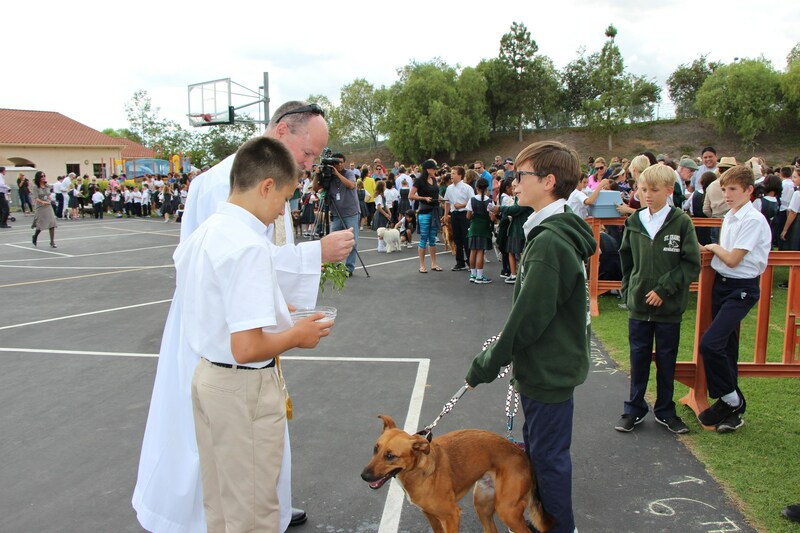 “Blessing of the Animals” will take place in the afternoon followed by regular day dismissal. This event is open to students, parents, family guests and invited media only. Attendees for this special gathering should begin arriving, with or without pets, between 1:30 pm – 2:00 pm. Please enter through the side gate and move to the athletic field area. Guests do not need to obtain a visitor’s pass for this occasion. Parents will be able to join their children and unite them with their pets. At 1:45 pm grades K through 8 will proceed to designated areas on the field area. Preschool and Pre-K students will observe the event from the Preschool playground area. 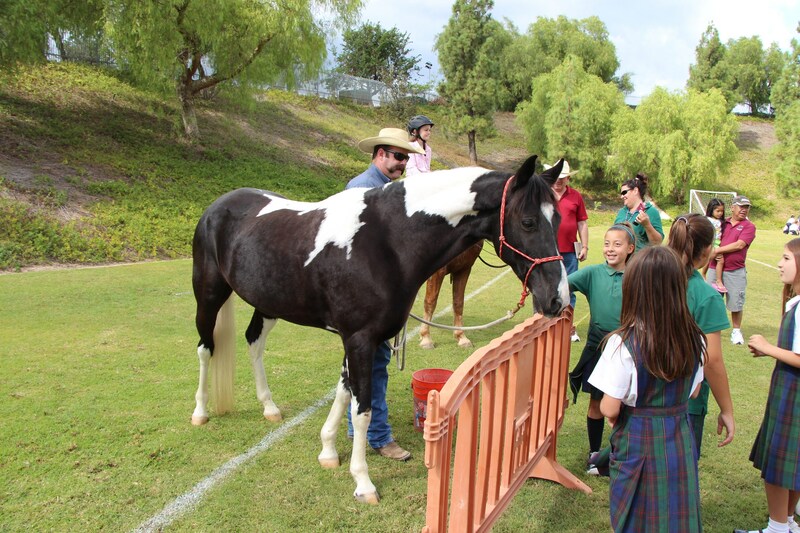 The animal blessings will take place between 2:00 pm and 2:30 pm. 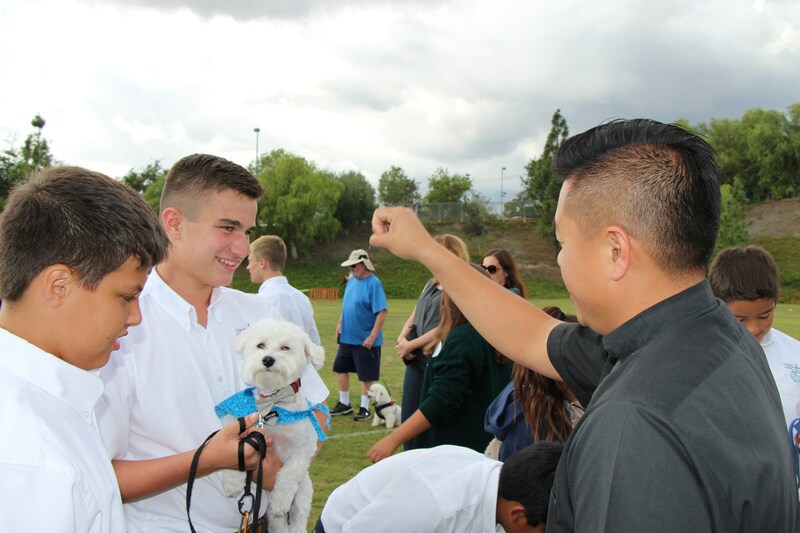 Dismissal for the day will begin once the “Blessing of the Animals” is concluded. All students must be picked up from their classrooms. Students with parents in attendance MUST check in with their teacher before leaving campus. Pre-K students MUST return to their classroom for usual check-out/sign-out. Please be aware that the parking will be closed at 11:00 am. Plan to park at SCDA, Eastside Park, or on the south side of Eastside Circle. Weather permitting, we will gather on the grass area of the field or on the black top under the lunch table shelters if there is light rain or drizzle. DESIGNATED AREAS FOR EACH CLASS WILL BE MARKED. 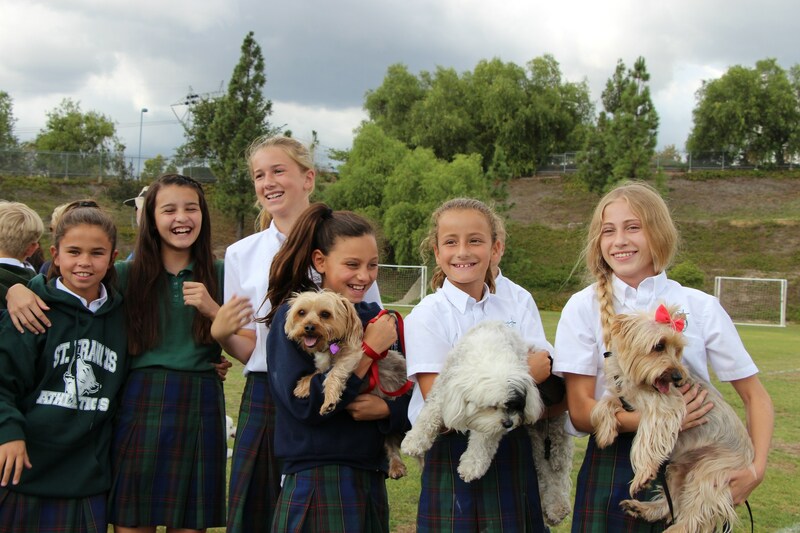 ALL animals MUST BE brought to school on leashes, in cages, or other type of pet housing/containers as applicable to your respective pets. Your dog must be on a leash no longer then six (6) feet in length with someone who is able to control the dog. Also, please be prepared to clean up after your pet. Should weather become a factor, we will attempt to carry out the blessings in the respective classrooms, following the same schedule. Please also note, if the blessing takes place in the classrooms (due to rain), only live pets that can be contained in cages/terrariums will be allowed. We must follow our preferred safety precautions. Therefore, non-caged animals will not be permitted in the classrooms. 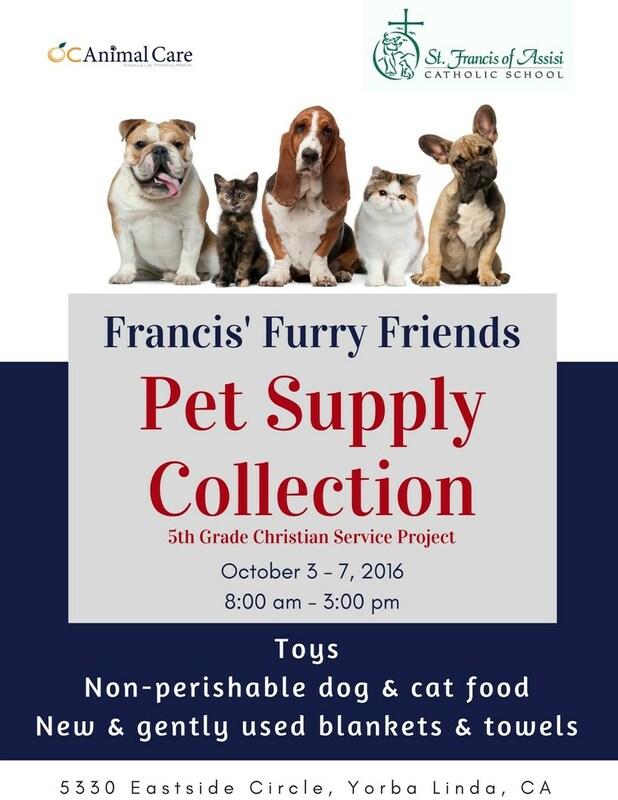 Students who have no pet(s) or who own a pet that is too large for transport, or may have tendencies to become nervous or agitated around other animals and/or in a crowd of children and adults, may bring one small, favorite stuffed animal, or a picture of a pet, for blessing. This applies to the outdoor or indoor situation. MEDIA NOTE: Members of the media need to RSVP by calling the front office at (714) 695-3700 no later than 12:00 pm. on Monday, October 1, 2018 so that special parking arrangements and visitor passes may be prepared. On the day of the event, attending media need to check in at the front office to receive their passes.